NewEgg offers MartinLogan Motion 10 Stereo NewEgg promo code which entitles you to an $80 off its price. 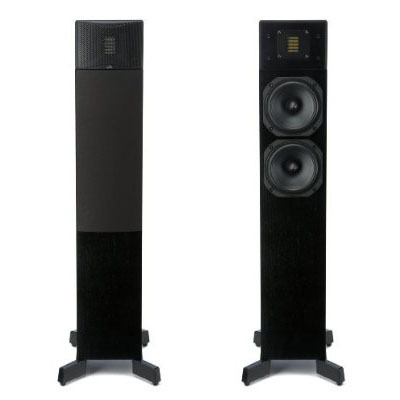 The MartinLogan Motion 10 Stereo or Home Theater Front/Surround Speaker was originally priced at $399.99. But using the Newegg promo code below, you can get the speaker for as low as $199.99, plus free shipping. This product received a 4 out of 5 rating. More product information, description and video can be found below. Dual 5.25-inch woofers. Cast baskets. Paper cones doped for stability and damping. Rigid structure dust cap. High Frequency Driver: 1 x 1.4″ (2.6 x 3.6cm) Folded Motion Transducer with 5.25 x 1.75″ (13.3 x 4.4cm) diaphragm. Mid/Low Frequency Drivers: Two 5.25″ (16.5cm) paper cone. Nominal Impedance: 4 Ohms. Compatible with 4, 6, or 8 Ohm rated amplifiers.